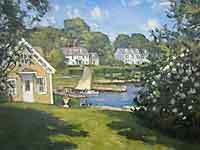 Kenneth J. Knowles is a well established talent, known widely throughout New England for his work in landscape impressionism. 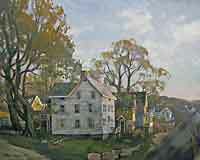 On a normal day, Knowles spends four to eight hours outside working on the beginning stages of one or two paintings. 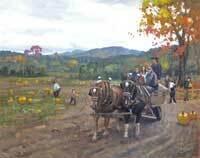 At any given time, he has as many as 15 projects in progress. 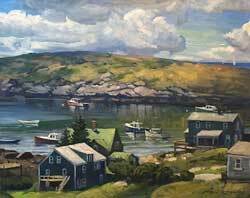 He then brings the paintings into his studio for what can be days or months worth of 'finish' before he feels they are complete. 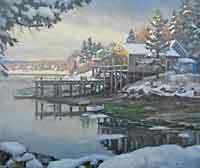 "There are several ways to finish a painting, from just a few touches to weeks of adding texture and depth." 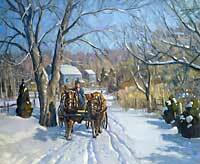 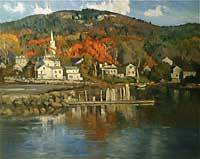 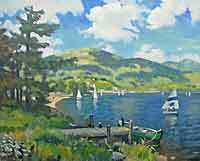 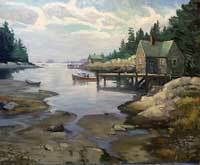 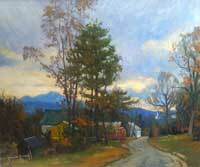 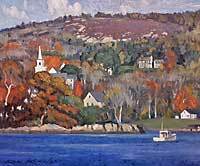 Ken was 17 years old when he sought out artists to teach him including well-known Rockport artists T.M. 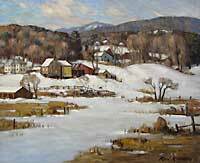 Nicholas and Stapleton Kearns. 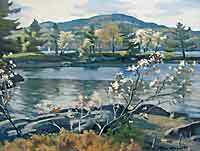 Later he studied also under John Terelak. 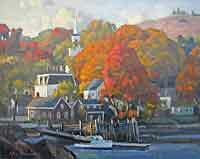 He is a member of the Rockport Art Association. 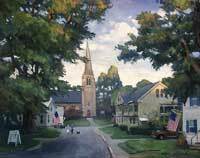 His awards include the Silver Brush Award from the American Art Association, the Edward and Elizabeth Schlemm Memorial Award for exceptional landscape in oil, and the Freda Gallery Award. 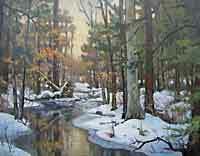 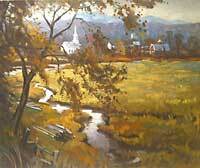 Born in 1968, he is one of the strongest young American landscape painters.